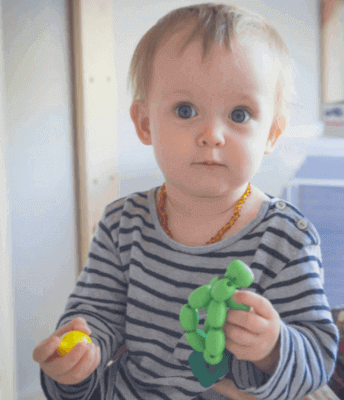 Wobbel: The wooden toy that moves young and old. The Wobbel originates from the Waldorf schools. 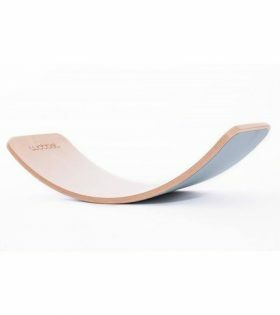 The Wobbel is a classic balance board in a modern design and contemporary edition. The Wobbel stimulates balance and strength during play and use. In a playful way, but very efficiently, it supports physical awareness and balance. When using it as a training device, specific muscle groups can be isolated, while other exercises train big muscle groups. This goes for (young) children, adults and even the elderly. The Wobbel works like a magnet on children attracting their immediate interest. The Wobbel is inspiring because of its impressive but undefined curved shape. This shape stimulates creativity which makes it, like a Barbapappa, everything a child imagines. Not only for exuberant and playful games, but also for quiet moments and individual play. The Wobbel is made with many layers of the best European beech wood (FSC), which are stacked and pressed under high pressure, and has a uniquely designed curve. There are several colour options and can be fitted with natural wool felt or natural cork. The Wobbel is because of its shape and looks. This is the only toy that doesn’t need to be put away after playing with it! It looks great in every living room. It is designed for indoor use, but can be used outside with sufficient care. Children are open minded and keep finding new uses for the Wobbel. It provides an ideal step in the kitchen or bathroom, so children can wash their own hands without help.